In Birmingham, we’re proud of plenty of things, but nothing more so than the number of independent businesses that have been blossoming across the city. There’s plenty of places to pick up unique items that you won’t see everyday, so go forth and show your support! Here’s a few of our favourites to get you started. The team at Loki are passionate not only about the grapes they sells, but also about abolishing the perception that fine wine is reserved only for the privileged, and we love that. Loki is, of course, home to hundreds of bottles of wine, but also stocks over 40 gins and is growing its offering of craft beers. Sample its sweet nectar either at home or at one of its two homes in the city, in the Great Western Arcade or Edgbaston. Look out for tasting events and courses, too. Currently trading from two shops, one in the Great Western Arcade and another just off Kings Heath high street, Honest specialises in stripped-back skincare that relies on clever combinations of nature’s most nourishing ingredients to soothe all types of skin. And it’s all handmade in Brum. The Honest team also has a penchant for all things health and making both the house and mind beautiful. If you’re after a treat or a gift, make sure to ask about the spa treatments and retreats on offer. Purveyors of independent homeware and lifestyle brands from the UK and beyond, Kin Home brings the best of scandi-inspired pieces to the homes of Harborne. Whether you’re after the perfect coffee table book, fancy indulging in some quality crockery or are on the hunt for a quirky piece to lift the living room, Kin Home will most probably have it. Expect to find the shelves stocked with simple products done beautifully that will help soothe the soul and add a touch of class to any home. 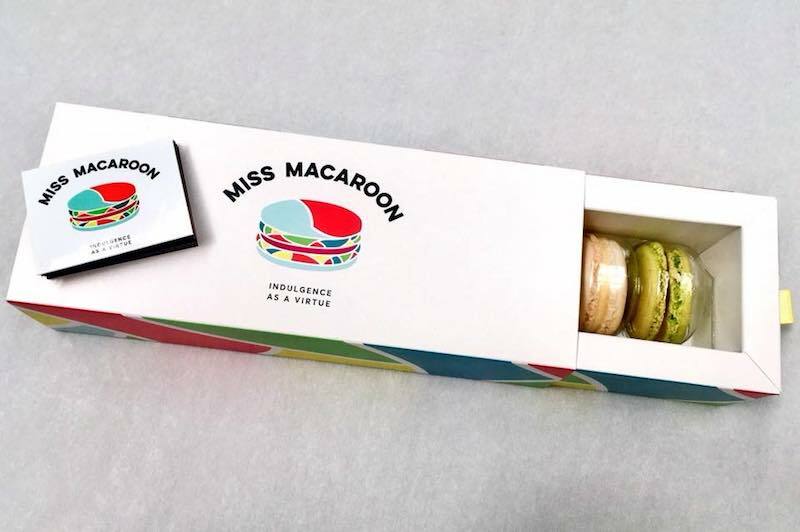 There’s plenty to love about Miss Macaroon; the company’s mission to arm young people with life skills and help build their confidence, its ability to Pantone match its macaroons (the only macaroon-ery to do so in the UK) and the fact that, well, they sell macaroons. Filled with every flavour imaginable including classics such as chocolate, pistachio and salted caramel, the team also creates new flavours every season to help make giving a gift easy, but choosing your favourite so much harder. Family-run Cotteridge Wines is famed for being the best bottle shop in England (for five years running). While it’s not much to look at from the outside, step inside and you’ll find wines and over 1,400 craft beers from all corners of the globe. Step into the tap room to sample the best in craft beer and ales before picking up a can (or three) to bring back home. Now we couldn’t mention Cotteridge Wines without Stirchley Wines, could we? Absolutely not. Just a skip and a hop down the road, Stirchley Wines is another family-run bottle shop specialising in cider, beer, spirits and wines. 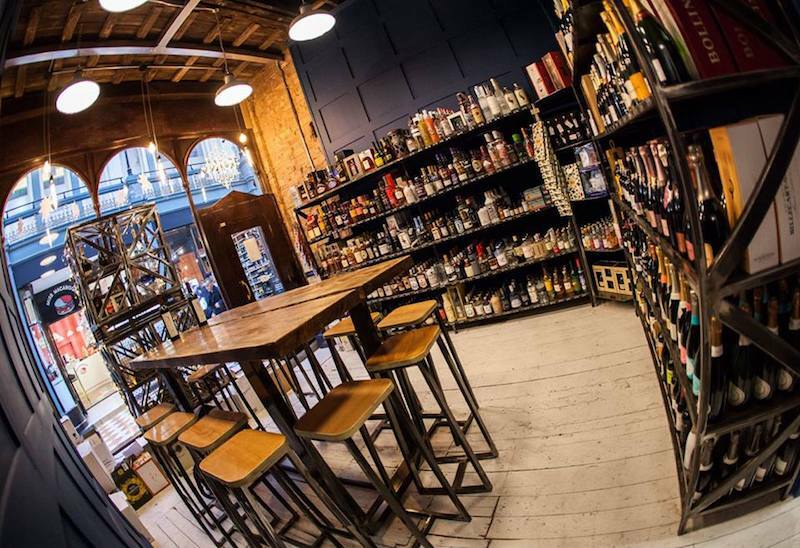 Although completely separate from Cotteridge Wines, Stirchley Wines also shares the accolade of being one of the top four bottle shops in the UK for five years in a row. Go and see what all the fuss is about while supporting this powerhouse of an independent. There’s no way to do a run down of the best indie shops in Brum without a nod to the city’s amazing music scene.If you’re after a record shop, look no further than Swordfish Records. Tucked away in its new(ish) location of Dalton Street, Swordfish is home to the best of the best when it comes to new and used vinyl, cds and collectibles from the dawn of time. It has also been graced by a number of famous names and faces since its opening in 1979. Swordfish is still as relevant now as it was when it began life as ‘Rockers’ and if you love music, you need to get down there. Birmingham’s jewellery heritage is incredibly rich, with hundreds of incredible jewellers selling the best of the best when it comes to the craft. It’s certainly not easy to choose which trader to go to, but thanks to Artfull Expression, it’s been made quite a lot easier. Based on Warstone Lane, Artfull Expression champions the best of the JQ, selling over 60 different jewellers based in the area, handpicked for their uniqueness. In house jewellers are also available to create unique pieces for individuals or loved ones. From earrings to rings, to tie pins and charms, Artfull Expression has it all. A one stop shop for all things artsy, Vincent Van Doodle is the ideal stop off for anyone looking to adorn their homes with bespoke, unique and individual art – y’know, the kind you won’t see in the run of the mill household. Located on Linkstreet (in between Grand Central and the Bullring), pop in and browse the excellent prints on offer – everything from film legends to designs based on cocktails – drop off your favourite photo to be professionally framed or have a chat with owners, Jules and Oli, about designing your own bespoke cushions. 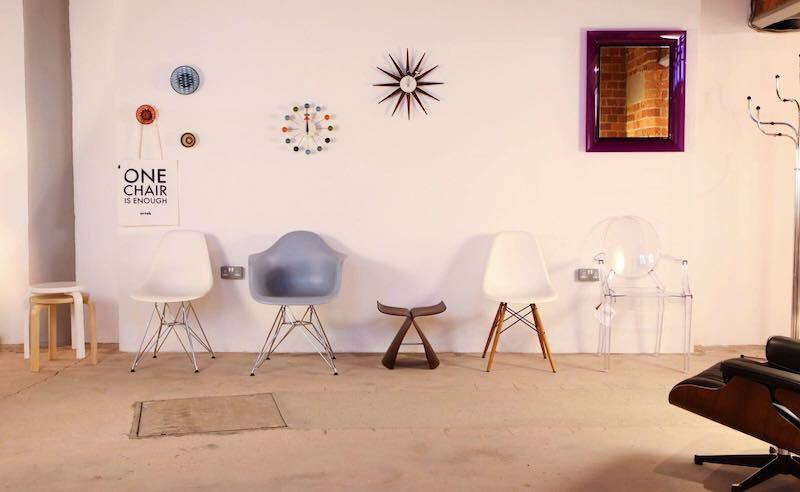 If you’re after a quirky piece for the home, you know where to go. Ever wanted a feature light made of old piping? Neither did we, until we found out about The Workshop Below. With a penchant for making the mundane fabulous, the team specialise in lighting and fittings inspired by all things industrial to turn bog-standard items such as plug sockets and lampshades into things of beauty. Take a trip to its dwelling on the Bristol Road to add a new kind of light to your life. The oldest record shop in England, The Diskery has served us Brummies with the best records since the 50s. Originally a specialist in jazz, The Diskery has adapted its offering to cater to today’s wide range of musical agendas. Similar to its counterpart, Swordfish, plenty of local celebs have been spotted flicking through its ranks, including Robert Plant and the boys of Black Sabbath. If you’re after rare or collectible items or just a rummage through the latest records, stop off at The Diskery. If you haven’t yet heard of it, we recommend you become acquainted. After picking up your urban-style lighting at The Workshop Below and embellishing your walls with Vincent Van Doodle, you’ll need somewhere to sit and admire it all, right? Look no further than Minima. Harbouring an affinity for all things homeware, Minima stocks everything you could possibly need (or want) to kit out every room in the house, from ceiling to floor. Think Scandinavian inspired pieces that ooze sophistication and style and you’ve got Minima bang on. Simply put, The Clean Kilo is a 100% packaging free supermarket – the largest in the UK, right here in our fair city. On a mission to get rid of single use plastic, customers are encouraged to reuse and recycle containers of all kinds to pick up their weekly shop. Pop in to stock up on pantry favourites, cleaning products, tea, beauty products, dairy, treats, bread and seasonal veg, all sourced from local farms (and breathe). You can pick up jars and handmade cotton bags to carry your goods, just remember to bring them again next time. Since 2012, Provide has been, well, providing Brummies with works of art and garments inspired by the second city. Want a Bullring pin badge? Got you covered. Want a model of the Rotunda? Yep, you can get one. Working with some of the city’s most talented artists, Provide gives individuals the opportunity to express themselves through fashion and art. Pick up a print of some of Birmingham’s most notable landmarks or the brand’s Zine to discover everything from some of the city’s best photographs to why Birmingham truly is the best. 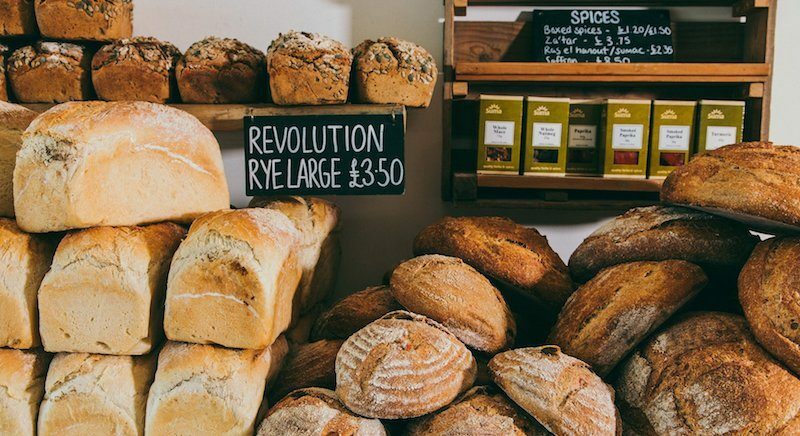 Hop on the cross city line heading south to Bournville and take a gentle stroll from the station to the Pershore Road where you’ll find the bakery that is ‘bringing back real food’ – Loaf. 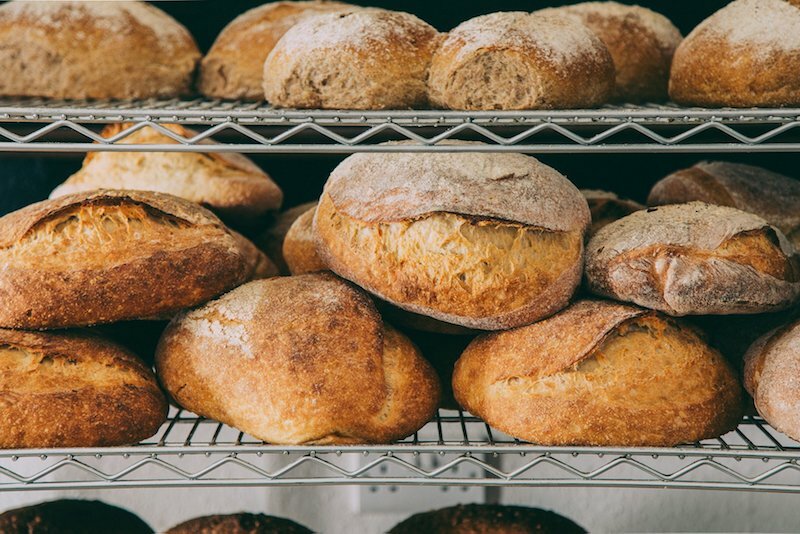 As the name suggests, Loaf is a bakery that bakes and sells every possible loaf of bread you could imagine. Supporters of The Real Bread Campaign, you won’t find any nasties in this bread, just wholesome and delicious ingredients. While you’re picking up a fresh loaf and swooning over the smell, tuck into some lunch or book onto one of their many classes – from baking to foraging to butchery and knife skills. Loaf is on a mission to help people eat properly, grow their skills and enjoy life. Celebrating its 30th year of trading last year, Fair Deal is the one stop shop for well versed and brand new musicians alike. Boasting the biggest keys department in the Midlands and home to over 700 guitars, Fair Deal is a stalwart in the instrument industry. And that’s not all, whether you’re into DJing, drums, percussion or strings, Fair Deal will be sure to stock it, and be sure to know a heck of a lot about it, too. Visit the team on Holloway Head, having moved there last year to mark their third decade of bringing music to Birmingham. As the name would suggest, Clink is a bottle shop, specialising in beer sourced from the best independent breweries and micro-breweries across the world. Whether you want to sit in and sample the booze on tap or dash in on the way home to pick up some bevvies, you’ll be sure to find something new. Home to over 200 bottled and canned craft beers and a taproom with eight different barrels to enjoy and with the taps constantly rotating, you can easily try something new every time you visit which, to us, is as good an excuse as any to keep coming back. Keep an eye out for tasting sessions and events, too. Hoping to make the Jewellery Quarter known for something else other than its jewellery, The Chocolate Quarter is helping pave the way for independent chocolatiers in the city. Taking on the confectionary giants to provide the people of Birmingham with the best quality chocolate and (quite possibly) the most extensive range of chocolate-themed gifts anywhere in the city, this independent is certainly up there as one of the tastiest. 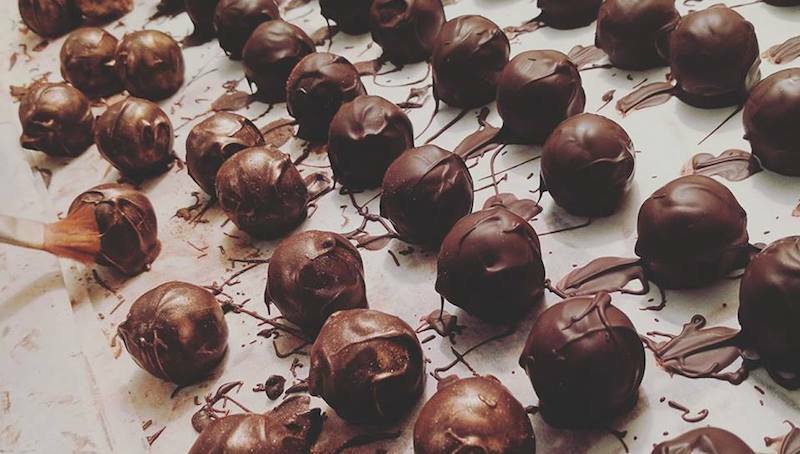 Shake things up a bit and book onto one of the chocolate masterclasses before indulging in some of the most melt-in-the-mouth truffles the city has to offer. Tucked away on York Road in Kings Heath is the absolute gem of a vintage clothing store, Top Banana. Stocking the very best in US vintage fashion, expect to find unique pieces dating back to the 40s right up to the 90s, with a speciality in 60s and 70s clothing. And the best past? It really won’t break the bank. For lovers of brands like Converse, Vans and Levis, add this one to your ‘must visit’ list to be in with a chance of picking up some real bargains. Back in the Great Western Arcade (if you’re not already on your way there after reading this, we have not done our job properly), is a very special deli that cheese-lovers and foodies alike have to have in their arsenal of hotspots in the city. Anderson & Hill is a deli that stocks over 40 of the finest cheeses in Europe, along with all of the complimentary accompaniments you could think of (yes, including wine). Stop off for lunch and sample sandwiches loaded with cured meats and, of course, cheese before picking up some to take home with you for seconds. Enthusiastic writer with an eclectic taste in music. Will listen to and enjoy (almost) anything.